A team of 8 friends from Oxfordshire have agreed to take on this insane challenge together. Read more about them, their families and their motivation for taking on such a crazy challenge below. PS: Stuart Eadie was part of the original 8, but due to his wife giving birth to their beautiful baby son, Niko, recently understandably family committments have taken priority. A team of 8 friends have decided to take on this challenge together. 8 individuals all bringing something unique and different the PEAKY CLIMBERS team but one major thing in common: commitment. Every single member of the team has not only committed to ride the event itself, but to help raise over £30,000 and to train 5 times a week! I am proud to present to you…the PEAKY CLIMBERS. Hi my name is Neil but most people know me as Nobby. I’m 47 and married to Jane and we have a son called Sam who is 18 years old. Fitness has been a big part of my life for as long as I can remember but I only got into cycling 3 years ago. I proudly ran boys football for 11 years, which took, up all my spare time. The other real passion in my life is the band I play in called CU Tuesday, we have been together for 20 years and we play a mix of indie covers and our own material. This is my second cycling challenge. Three years ago Mark Crick and myself cycled Southern Ireland End to End. We completed 466 miles in four and half days raising a substantial amount of money for Sobell House Hospice. So when I was asked to do this daunting challenge for the two amazing charities it was a no brainer. John is 47 lives and grew up in Uffington (Oxfordshire) with his wife Mandy and two children Charlotte & Abbie. He went to School at KAs Wantage and now sells Scientific Instrumentation to Universities and Industrial research groups. Sport has always played a big part in his life playing Cricket for over 30 years and enjoying skiing, running and badminton. John took up Cycling (Mountain & Road) when moving back to Uffington to live to enjoy the surrounding countryside. Since turning 40 John has suffered with increasing problems with his back and as a result had to give up Cricket. Wanting to carry on some kind of sport decided to pursue an increased level of cycling. 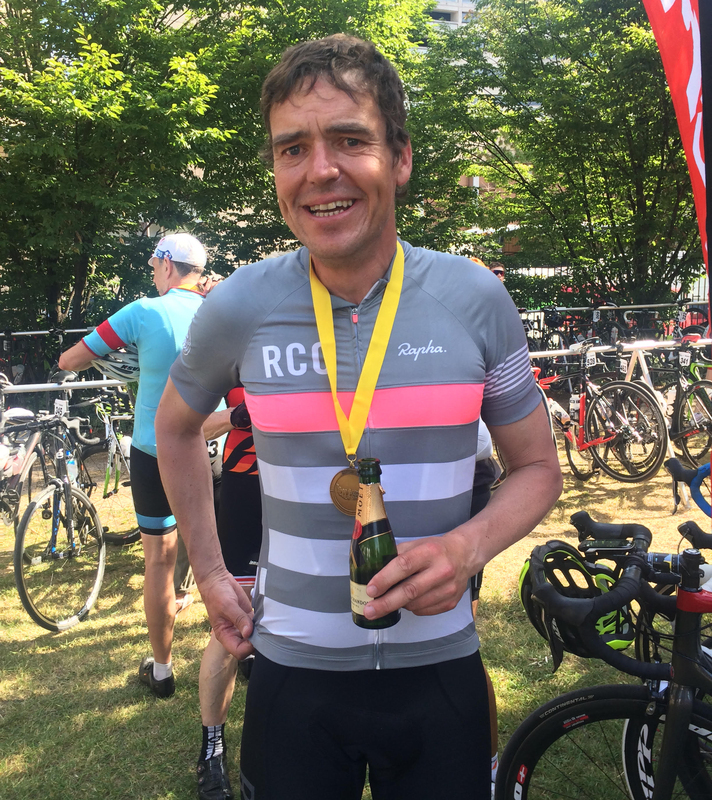 He’s done a number of Sportive events in Shrivenham, Blenheim, New Forest & Germany as well cycling the Ridgeway but nothing on this scale before. 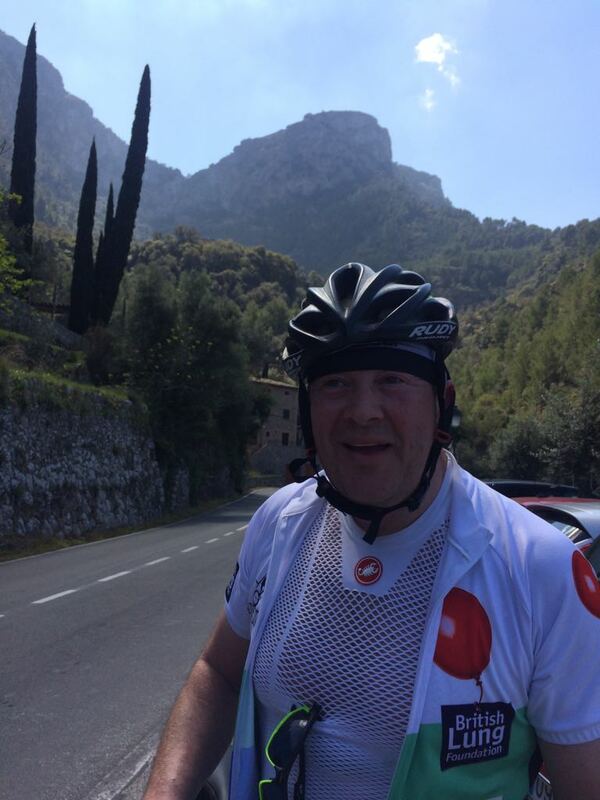 In 2016 John was invited by Mark Crick to join the Denchworth based Grench Cycling club who meet regularly on Thursday evenings in the summer doing 30 miles rides with a pub stop for a drink. Through the summer at Grench Paul “Macca” McIntosh kept mentioning this bonkers bike ride through the Alps & Pyrenees he was planning in September 2017. For many months John said “no this is a completely crazy idea” plus he was planning a Lands End John O’Groats ride in 2017 with his brother. 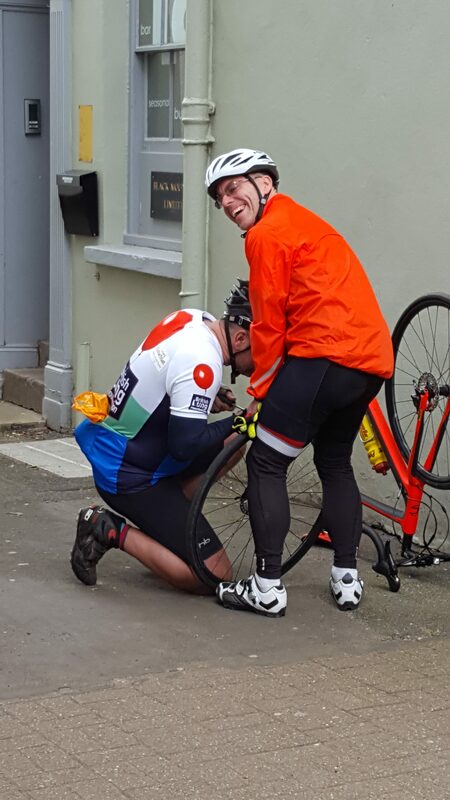 In the end, the LEJOG ride got postponed and so a combination of the fund raising for the good causes and the crazy challenge of the event itself was too tempting. Being a Skier and lover of the Mountains the attraction to give it a go was too much so he’s thrown his hat in! 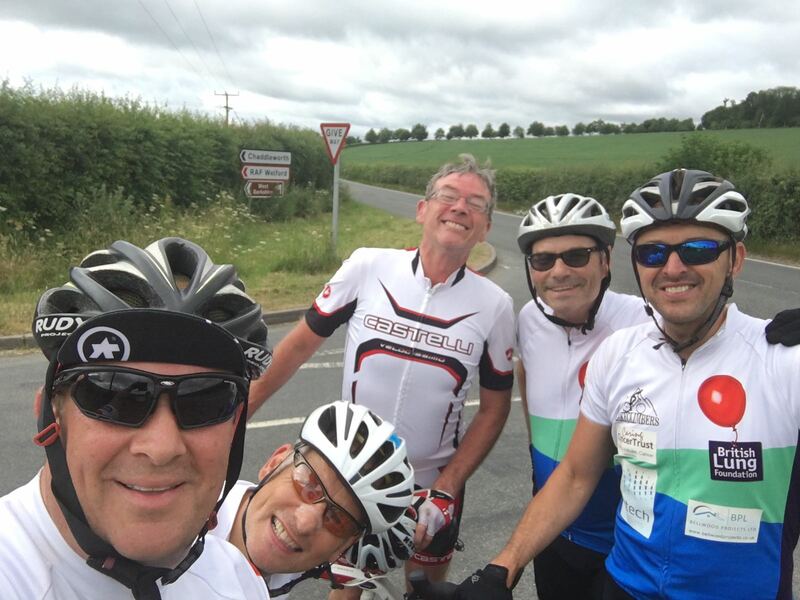 John knows its going to be a Massive physical and mental challenge but is part of a great group of guys all up for having a go at it together plus the motivation of the charities and stories they are riding for to help them along the way! Married to my lovely wife Jane with two gorgeous sons Ruben 21 and Harrison 19, who are my world! 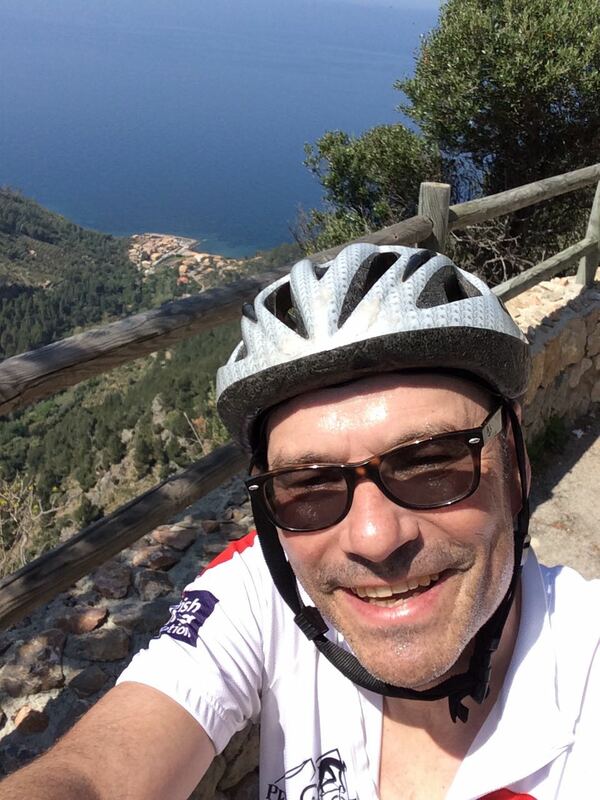 Favourite hobbies include Cycling, running and more recently a passion for open water swimming. Love walking the Dorset & Cornwall coastal paths with Jane and our faithful hounds. Cycled LEJOG in 2009 & End 2 End of Ireland in 2014 and as a result decided to set up Grench Riders, which we now have successfully completed three seasons with membership booming. When I was asked to join the Peaky Climbers on this crazy challenge it was simply a no brainer, the ultimate cycle test against the biggest mountains in Europe for such amazing causes and with an awesome bunch of lads, yes please . I’m Stuart ‘Stewie’ Eadie and at 49 I am the ‘oldest’ members of the bunch, I actually turn 50 six weeks before the event. I got involved with this challenge of all challenges over a beer one evening in May 16 with Paul “Macca” McIntosh. He had this idea of cycling up 3 of the most well known peaks of the Tour de France, the ‘Tourmalet,’ Mont-Ventoux and Alpe d’Huez. 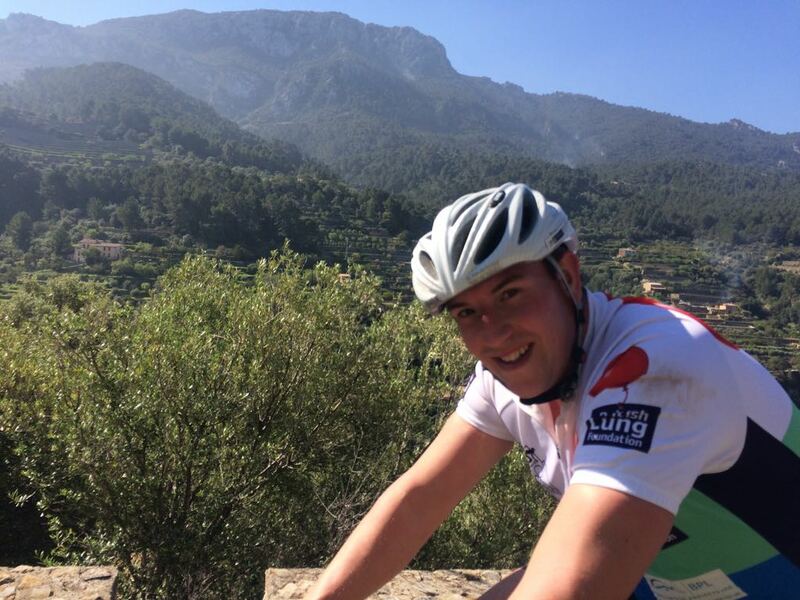 What he failed to tell me until I’d committed was that it involved 7 days of cycling taking in some of the highest and most challenging peaks in the Pyrenees and Alpes. Oh, happy days! 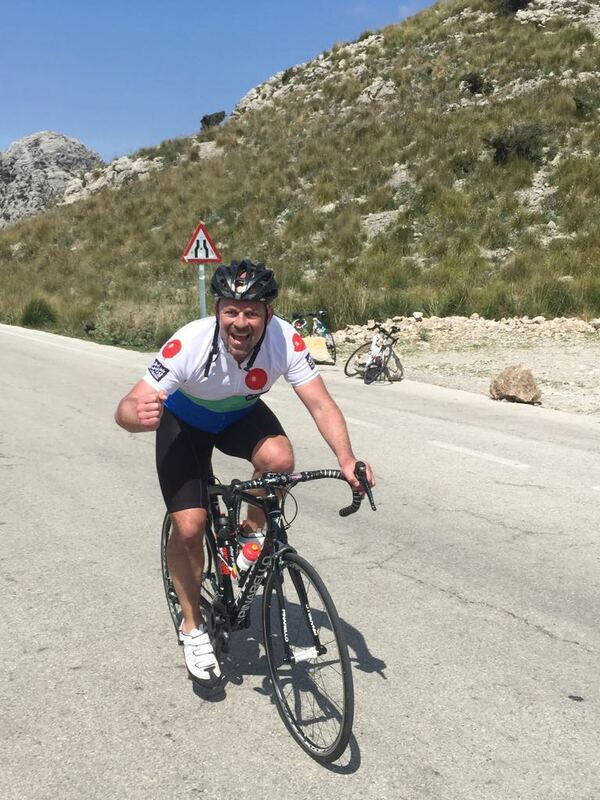 I’m new to the activity of tour cycling and using it as a method of keeping fit. Previously it was a means of nipping to the shop when I’d feel guilty about getting the car out for such a short journey! so this is going to be both a massive physical and mental challenge for me, one which I’m both apprehensive and excited about. I am married to Helena and we have a 2 and half year old son called Samko, we are living in Wantage having returned to the area after 10 years living in Manchester. Oh, yes, we’ve just found out Helena is expecting our second in April 2017. I just thought I’d make things even more difficult for myself! So far I’m enjoying the training, yes it’s a physical challenge for me getting fit again but with the support of the 7 other Peaky’s, I am confident I can do. 46 Years old and originally from Torquay, moved to run a pub in the Cotswolds 12 years ago with my wife Nicky, Daughter Grace (23) and son Will (18). Joined Grench Riders in 2016 through a chance meeting with Mark & Ben at the Fox in Denchworth which is where my Wife’s parents have lived for the past 30 years. I played Rubgy and cycled quite seriously during my teens but as soon as I passed my driving test years ago rode less and less, took up cycling again a few years ago and also participated in a number of Triathlons (Cardiff, Bristol and the Slateman Savage to name a few) just mainly to keep fit but also to try and push myself a bit but also to prove to my Kids that I am not over the hill – something we men seem to have to do at some point in our lives!!!! 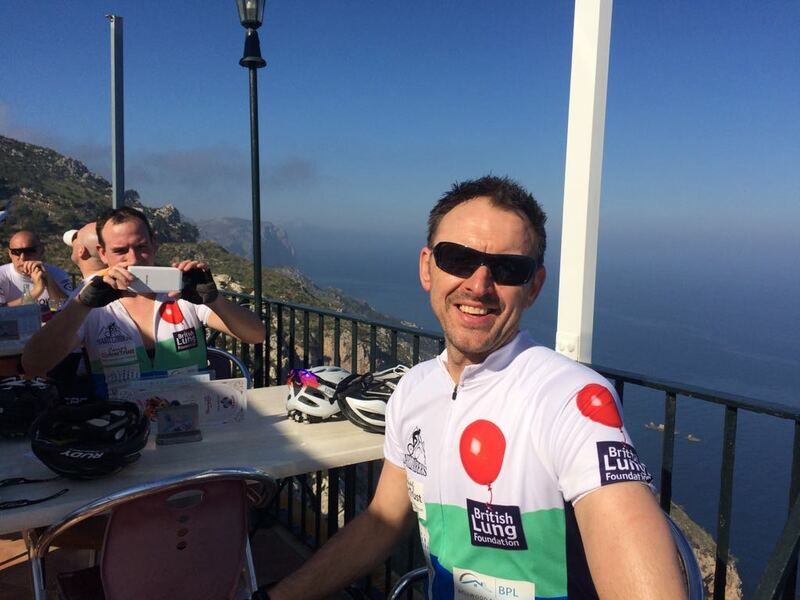 Lost my Father-in-law recently to a Brain Tumour and Cycled RideLondon100 to raise money – enjoyed the challenge and when I heard about Paul’s Leisurely jaunt in France I was immediately intrigued, after 2 more pints of Cider I was ready to sign on the dotted line. When the hangover subsided the enormity of this challenge dawned on me but the Charities which are close to many people’s hearts are what will ensure we all bring this dream to reality and that and the friendship of us 8 guys working together will help us succeed with the challenge. At 34 I’m the youngest, least experienced and only XL Peaky Climber but some say the best looking one. I have a beautiful girlfriend Catherine and we have 2 Dogs Sam and Buggy. After living in Cornwall for almost a decade and surfing pretty much every day I moved to Oxfordshire to run a Marquee Company but unfortunately there was a distinct lack of sea so I had to find another hobby. 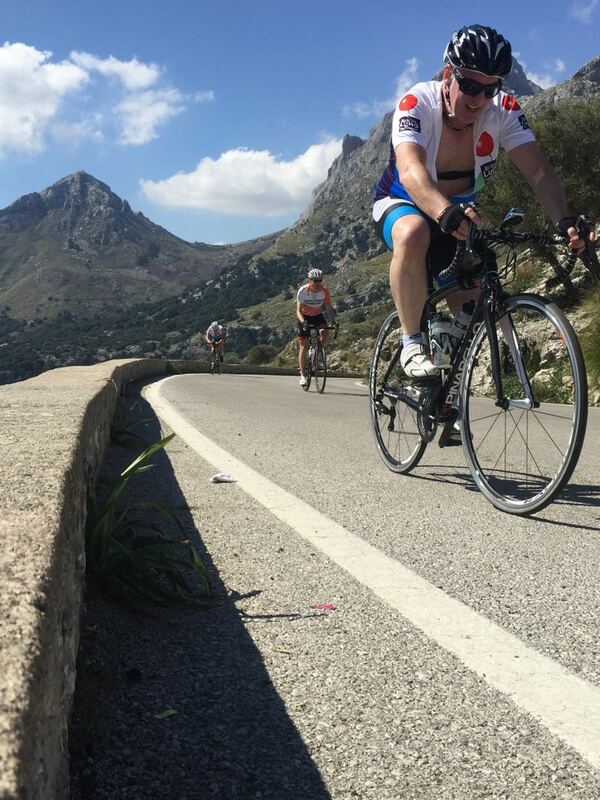 I joined Grench Cycling Club from the start and began to build my cycling experience. Always looking for the biggest downhill to go as fast as I can. Completed a 147km Sportive and loads of rides with my Grench friends. Then signing up for the most amazing challenge of my life. The founder of the Peaky Climbers, aged 49 and I turn 50 during the event itself. I am married to the incredible Nicola, we have two outstanding sons, Jai and Ethan. Oh and I can’t forget our wonderful family pooch, Blue! I was brought up in Elstree and moved to Wantage 20 years ago once I found the love of my life, Nicola. I have run my own business since 2009, which I started after a successful career in the corporate world. I played football from an early age, and in later years started a Veterans team (Milton Utd) some 12 years ago and I am also guilty of being a Chelsea fan! Over the past few years I have played a bit of golf and completed the odd event to keep fit and raise funds for charity – London100, Great North Run and Great South Run. 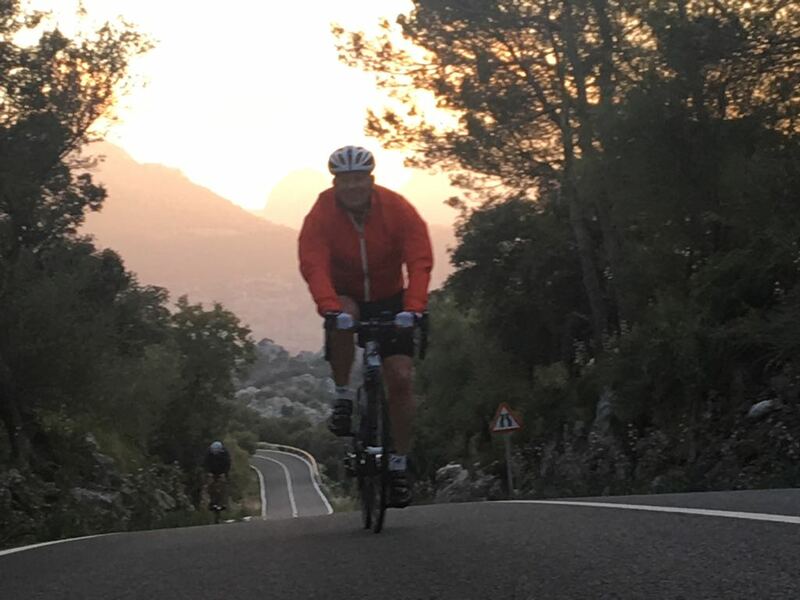 I wanted to do a challenge that would make people sit up and take notice, something that would make people say you’re mad and something that would make my mum proud if she were here – essentially we are cycling the equivalent of 2.25 times the height of Everest in 1 week. The enormity of this challenge cannot be understated and I’m so proud to be doing it with 7 other incredible guys. I could NOT do this challenge without the full support of my incredible family and for that…I will be eternally grateful. My inspiration for doing this event is my mum, I miss her and think of her every day. This is more than just a cycle ride…this is a way of life! I’m just an ordinary mildly asthmatic recreational cyclist, who has been back on a bike for about 4 years or so. I’m married to Kirstie and have 2 children, Jasmine (18) and Luke (11), along with 2 dogs and 4 cats and work as a management accountant. When the idea was first suggested for this challenge, I thought that sounds like a life rewarding challenge, that’s the sort of thing other people do. When I heard which charities the funds where being raised for it made me decide that its about time I became one of those “other people”. Like everyone, my family has been touched by cancer, when our daughter was only 4 weeks old my mother in law, Celia Pott, tragically lost her battle with breast cancer, a disease she had beaten once before. Since then other dear friends from the age of 8 to 80 have battled cancer some are happily still with us, while others we have sadly lost. All of them have fought cancer bravely, grabbed every opportunity that life offered and in turn inspired me. Knowing the challenges that these people faced and took on and the funds we raise from this will have a positive effect of some other peoples lives will keep me going. I am 48 and live in Reading with my beautiful wife Anna, my beloved dog Baxter and 2 cats, Fred and Daphne. I am a fitness fanatic always looking for a new challenge and have completed Ride London several times, the Tour of Wessex and in July will cycle to Paris for the 2nd time. Sport has always been a big part of my life and following spinal fusion surgery in 2009 I took up cycling as long distance running was no longer an option. I have cycled with the guys on several occasions (including chasing them down through Hampshire in the car following a tyre blowout in order to catch up and rejoin the ride), and I am often in The Fox as my Dad has lived in the village for many years. I have always chosen to support charities in my sporting events and I am honoured to be asked to join the group on what is an incredibly tough challenge of a lifetime for such worthy causes. 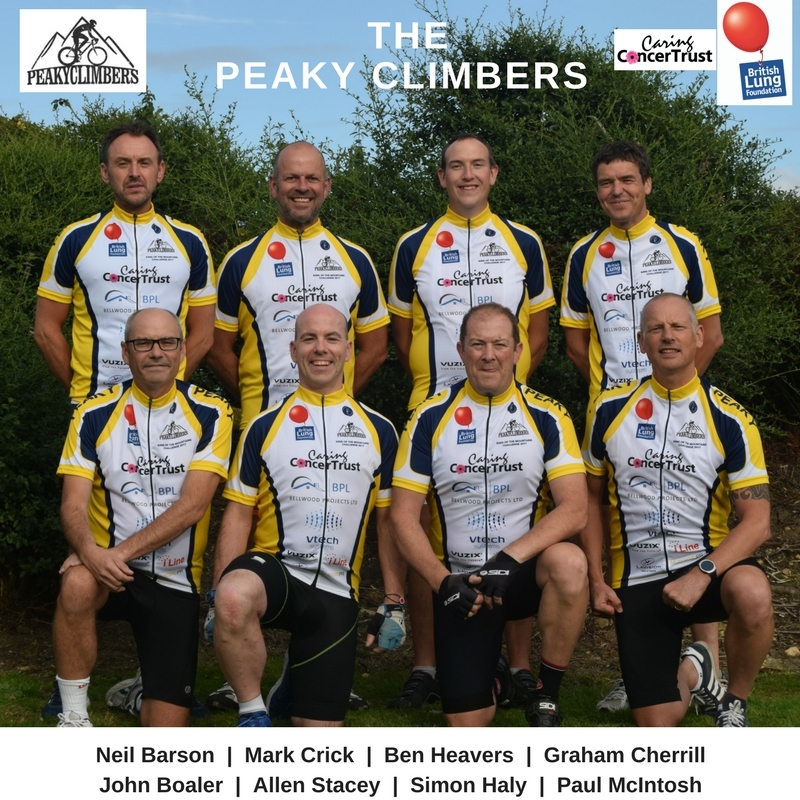 Like many, I have lost family and friends to cancer and my wife suffers from a lung condition, so am proud to join the Peaky Climbers and take part.